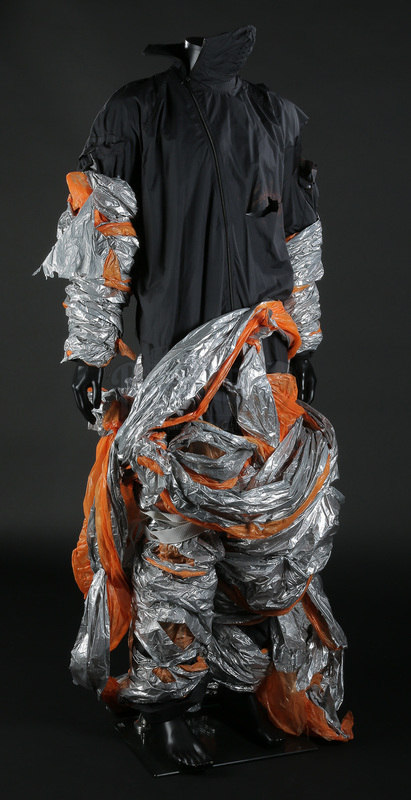 An exploration costume worn by the Icarus II’s second in command, communications expert Harvey (Troy Garity), in the Danny Boyle sci-fi thriller Sunshine. 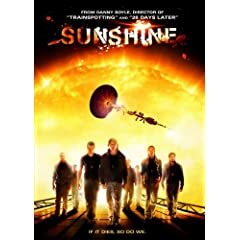 Set in the year 2057, Capa (Cillian Murphy) and a team of astronauts are sent to ‘reboot’ the sun with a nuclear device after it begins to fail, putting Earth into an ice age. When a signal is picked up from their predecessor, the Icarus I, they set course for the lost ship to find out what happened to her crew and why her mission failed. 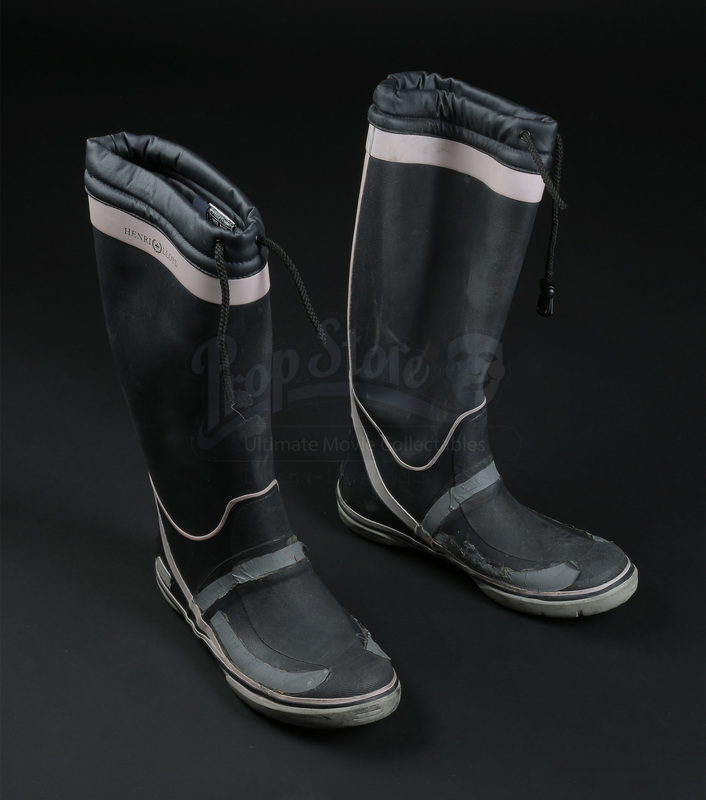 Worn for scenes aboard the Icarus I when Harvey, Capa, Mace (Chris Evans) and Searle (Cliff Curtis) explore the lost ship, the costume is composed of black nylon exploration overalls, a pair of black wellington boots with reflective tape, and a wrapping of insulation foil Harvey took from the ship’s airlock to protect against extreme cold of open space. 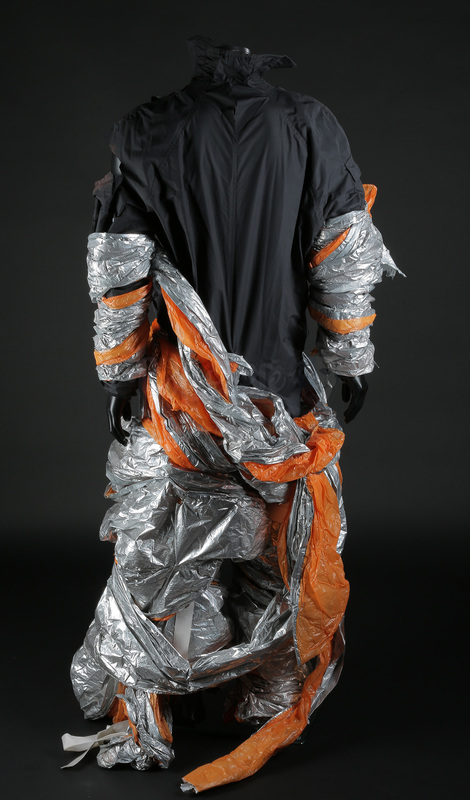 Wiring runs through the suit to an LED wire that runs in silver pockets at the arms and knees. 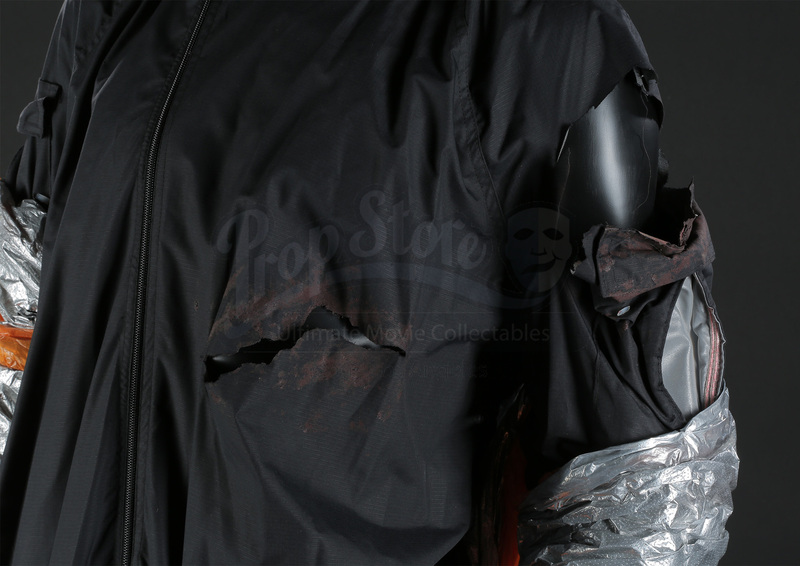 The overalls have been distressed with cuts and fake blood for when Harvey strikes the airlock door frame as he is ejected from the Icarus I. 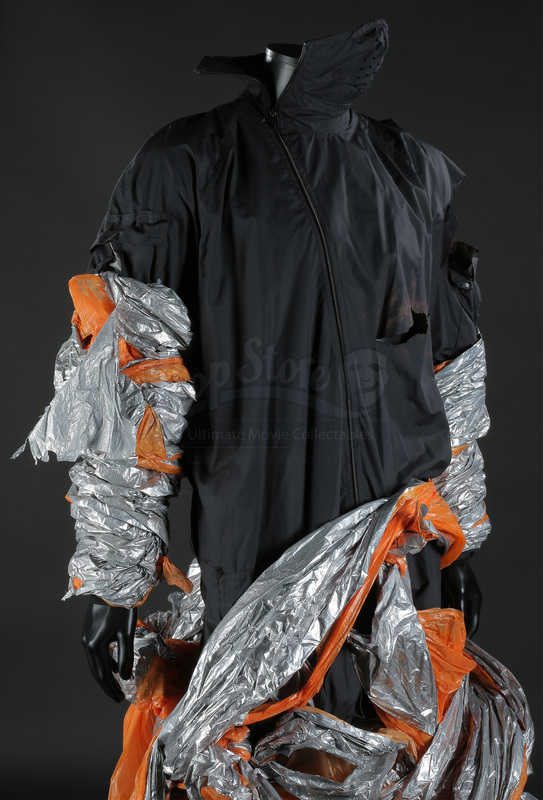 The foil is attached to the suit by plastic tags to ensure it stayed in the position during filming. 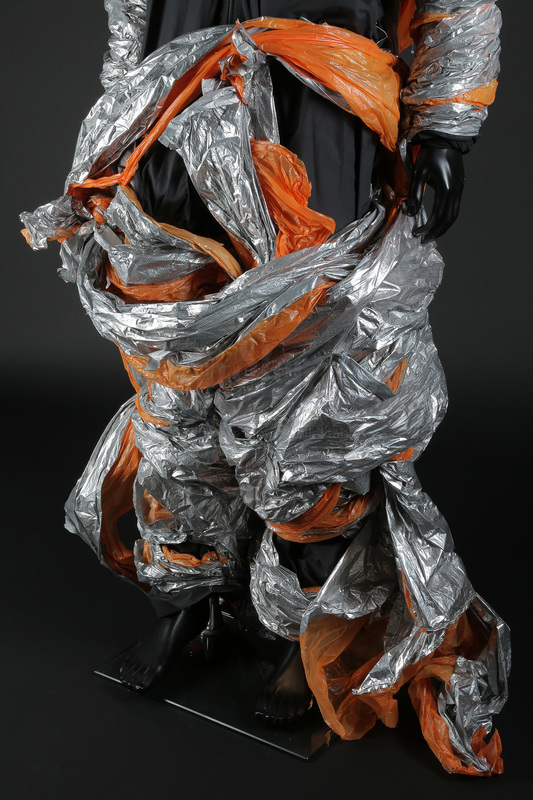 Harvey's equipment harness is not present, nor is the additional foil that would have been added around the upper body, upper arms and neck once Garity was dressed for the scenes outside of Icarus I. The electronics connecting up to the LED wire is also untested. In good production-used condition, the boots are marked as size 10 with no other sizes marked. 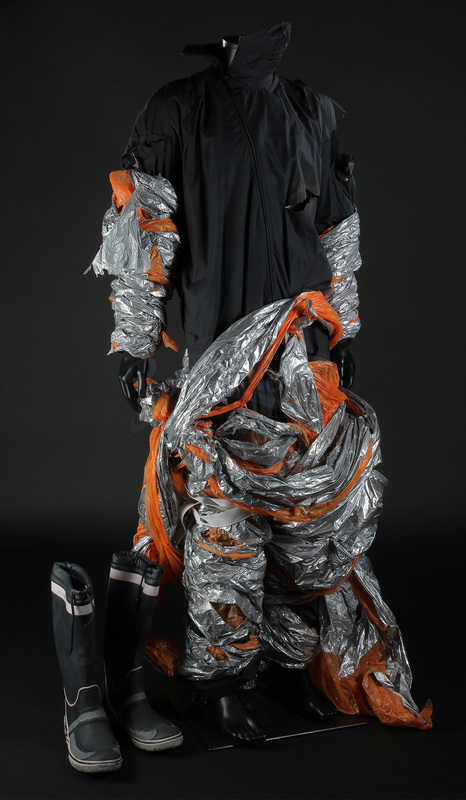 Materials: Man-Made Woven Fibres, Rubber, Ferrous Metals.